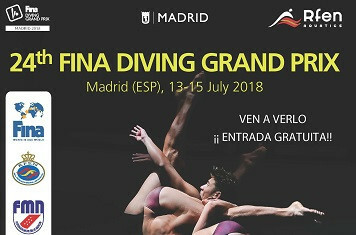 Madrid is set to host the fourth leg of the International Swimming Federation (FINA) Diving Grand Prix. The indoor Centro de Natación will provide the venue for three days of competition, following on from last weekend’s event in Bolzano, Italy. Competition will begin tomorrow with the finals of the men’s 10 metres platform and women’s three metres springboard competition. Action will continue with the women’s synchronised platform competition in the morning on Saturday (July 13). 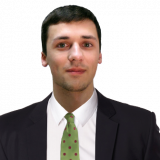 It will be followed by an Opening Ceremony in the afternoon, which will precede the men's three metres springboard final. Four finals will take place on Sunday (July 14), as competition draws to a conclusion. The men’s synchronised springboard and platform competitions will draw to a close during the day. The women’s platform final will also take place, before the synchronised springboard event brings the Grand Prix to an end. The Grand Prix season began with events in Rostock and Calgary, before last weekend’s competition at Bolzano. The season includes further stops in Kuala Lumpur and Gold Coast. It will conclude at Singapore in November.